In this visit to Granada we will take you to know the main places of the city. We want you to live the history of this millenary city through the knowledge of a local guide who will be with you throughout the tour. 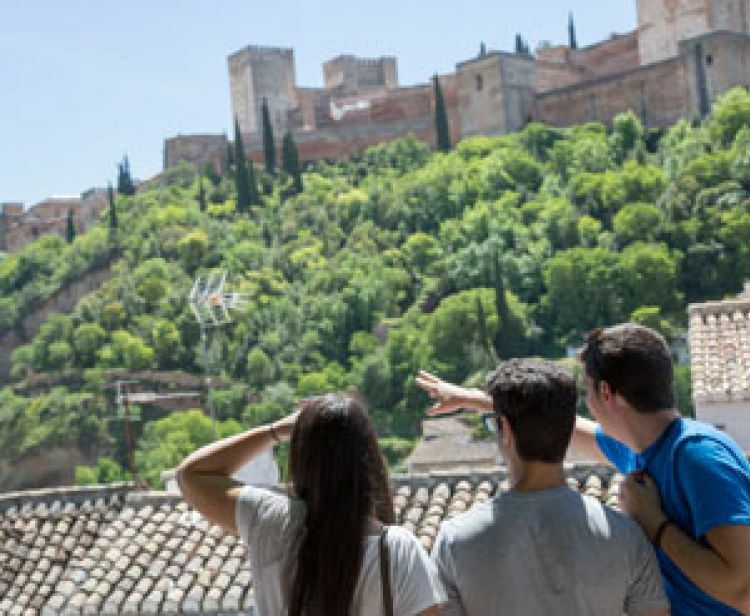 We promise you it will be a tour fun where you will learn the Granada history, myths and legends.You can not miss the free tour number 1 of Granada. Plaza Isabel La Católica, Plaza nueva, casa de porras, Carvajales, Iglesia de San José, Iglesia de San Gregorio Bético, Puerta del Perdón, Catedral, Vítores, Capilla Real, Alcaiceria, Bib Ramblas. Look for the purple umbrella! You can cancel whenever you want! It is recommended to wear comfortable shoes and bring a bottle of water for the tour due to its duration. We recommend bringing umbrellas in case of rain.